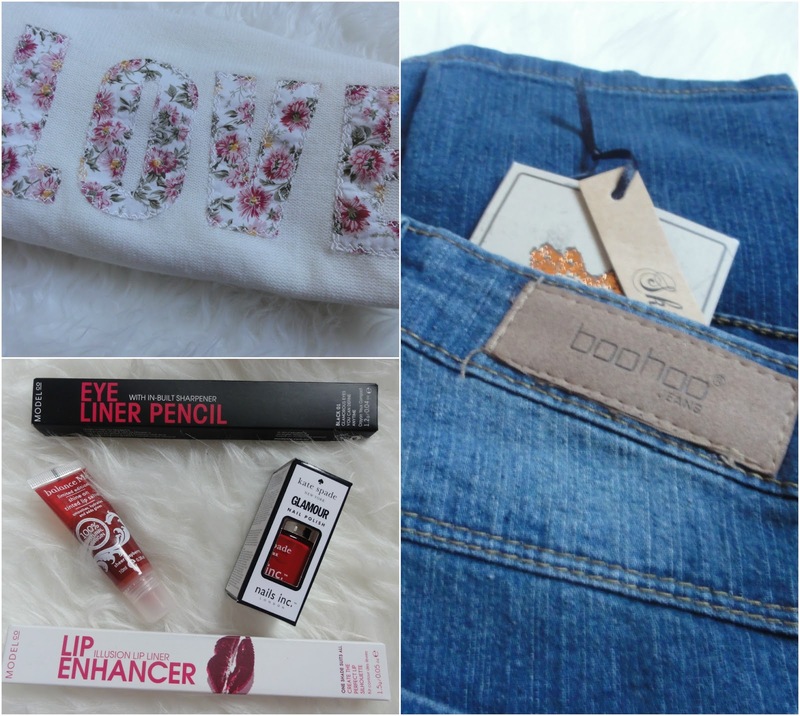 ♥ A British Sparkle ♥: Collective Haul | New Look, Boohoo, Ikea & More! I've had quite a few hauls going on in the last month or so, clothes for my upcoming holiday and some bits and pieces for my home. The spending hasn't stopped, unfortunately, but that isn't always a bad thing because I've welcomed some seriously nice additions into my life. I'm pretty sure they'll be another haul come early October so keep a look out for that! 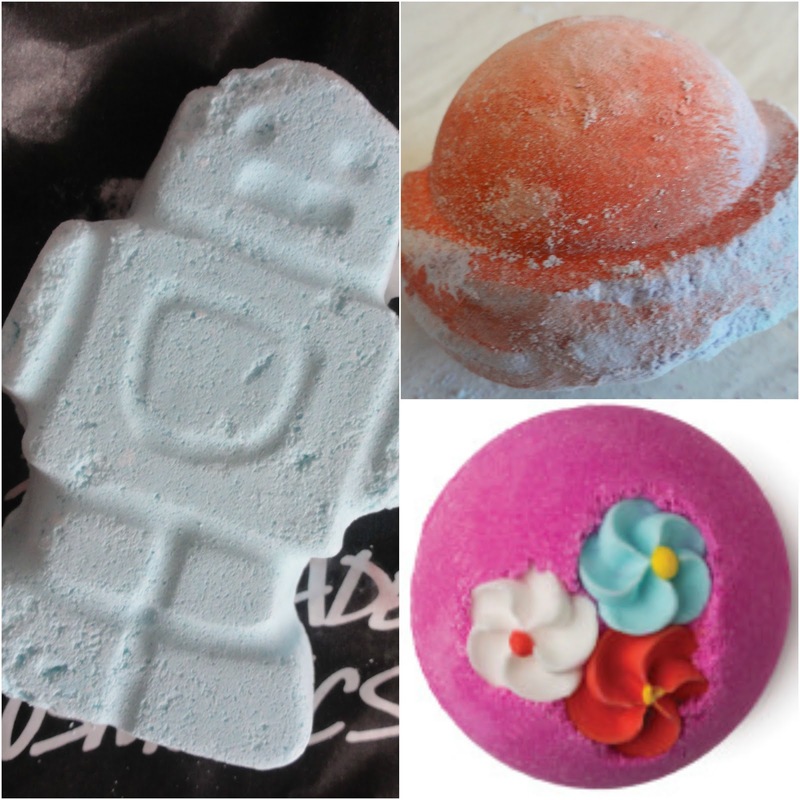 My favourite products in Lush are the bath bombs. I just love watching them fizz as they hit the water, changing into a beautiful array of rainbow colours. It was only fair I picked up a few on my latest visiting to Trafford Centre - thumbs down to my home town for not having a Lush store or any other decent stores. Even Topshop is closing down cause town is crap, but we've gained a Peacocks and I still have my trusty New Look store, phew! I picked up the more affordable of the bath bombs available. Ickle Baby Bot - £1.95. Space Girl - £2.35. I'm a huge lover of Space Girl, it's fun of glitter and smells gorgeous - very similar to Snow Fairy. A firm lush lovers favourite Christmas top pick. Think Pink - £2.50. A classic for me! Romantic Smoked from Makeup Revolution is one of my favourite palette's from the brand, and that's going back six months. Now that they've started branching out into selected Superdrug stores (again, not in my town) I decided now was the time to buy. Not going to go into to much detail about my latest little gem because I've recently reviewed it, you can take a look at that here. I had a little splurge at New Look online recently. I thought it was time to trade in my leather jacket for something a little warmer for the cold nights - I thought they'd be here now but judging by reports the temperature it's going to be above usual temperatures all the way until November, apparently. I also got some new booties. 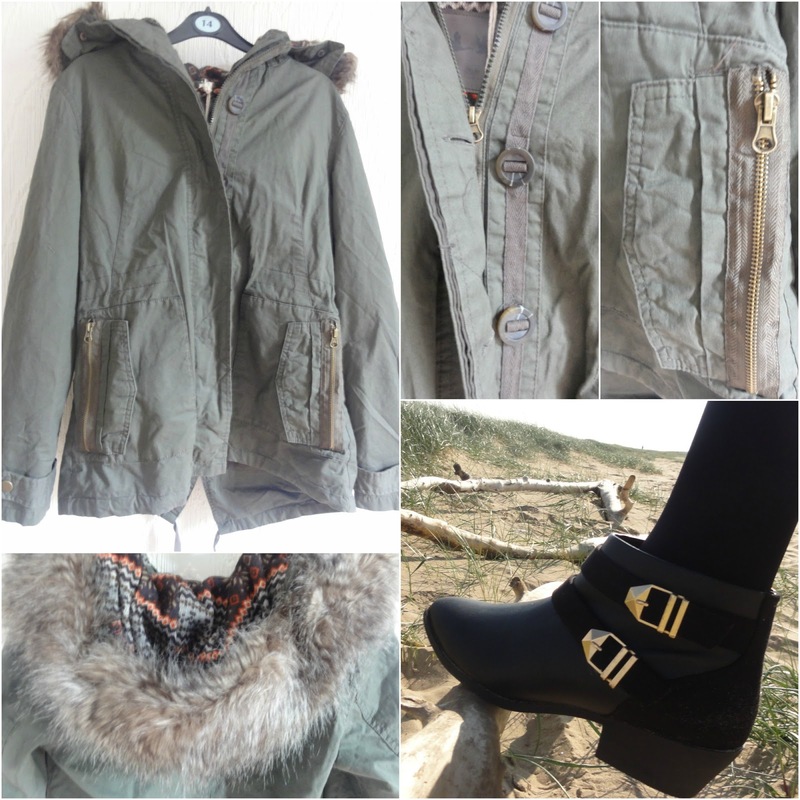 I recently did a OOTD which goes into much more detail and with links. You can see that here. It's a little naughty of me to include this in a haul because I asked my Mum to purchase it me for Christmas - it was in the sale so we were both winners in the end. I paid for it on my card and my Mum's going to give me the money but I'm so in love with it I'm almost tempted to take it on Holiday with me. 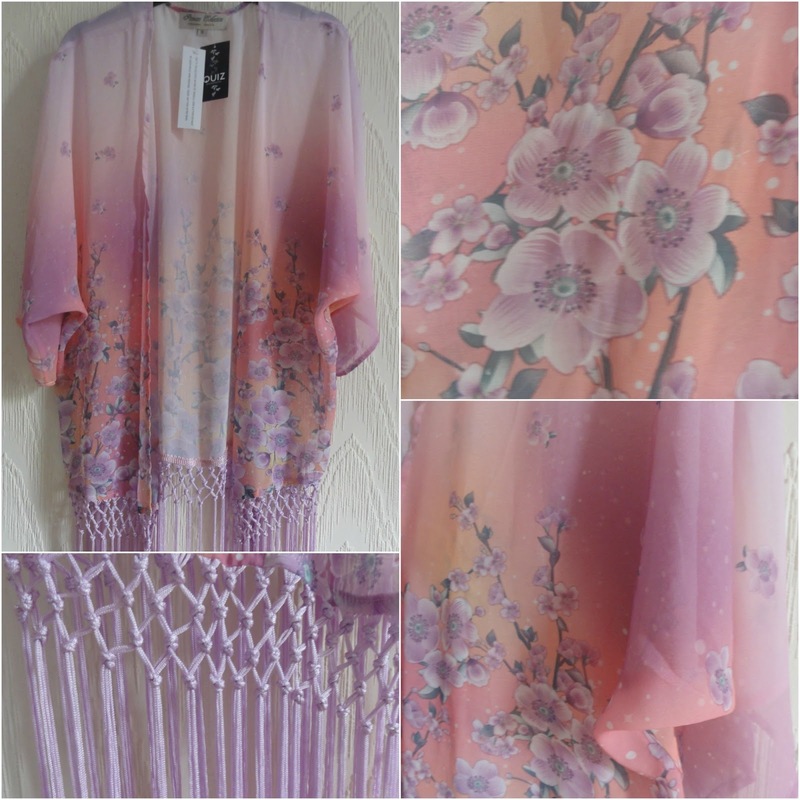 This gorgeous piece is from Quiz at Debenhams and was just £11.99 - over 50% off. You can purchase that here in sizes 8, 10 and 12. Also available in other colour/prints. I've wanted a couple of new jumpers and jeans for some time, Boohoo have had the most incredible sale on these past few weeks that I had to take advantage. I found this amazing, over-sized, knitted jumper with love on the front in floral print. It's not available now, unfortunately and when I tell you the price you'll know why. This jumper was just £6.00! Yes, £6.00 I can hardly believe it myself. It's so warm and cost. Next up are these skinny Jeans, there were just £10.00. The sizes are very small at boohoo in jeans. These are also unavailable now. I recently subscribed for a 12 month magazine to Glamour Magazine for just £9.00 and were given an amazing selection of goodies for doing so. I recently had a huge splurge at Ikea. Vase £2.00. Flowers 65p each. 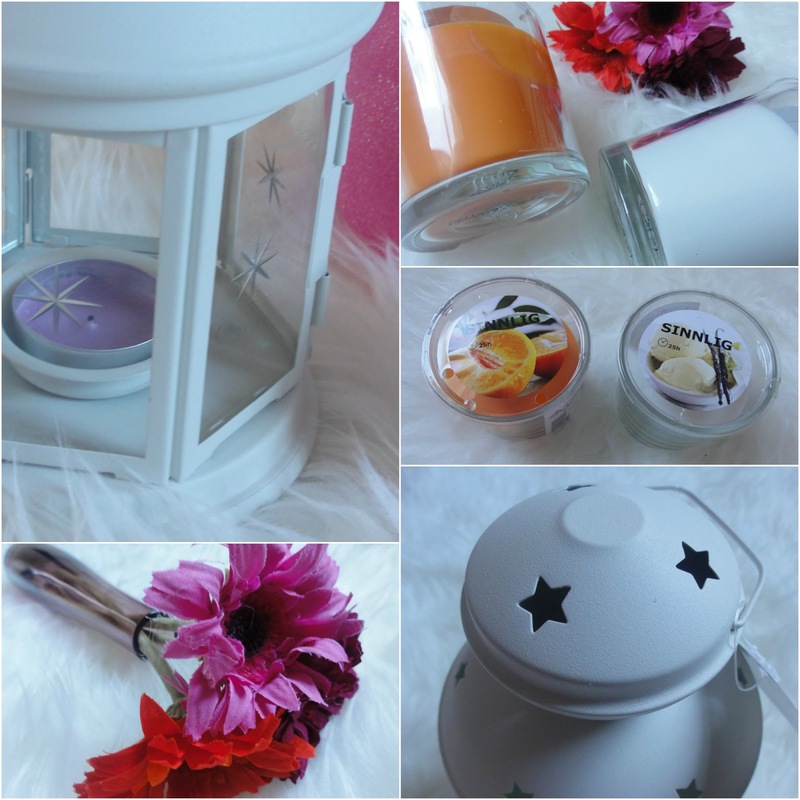 Candles 95p each. link & link. Papaja Plant Pot - £1.75 I recently watched Gabby on Youtube, moving to Brighton. 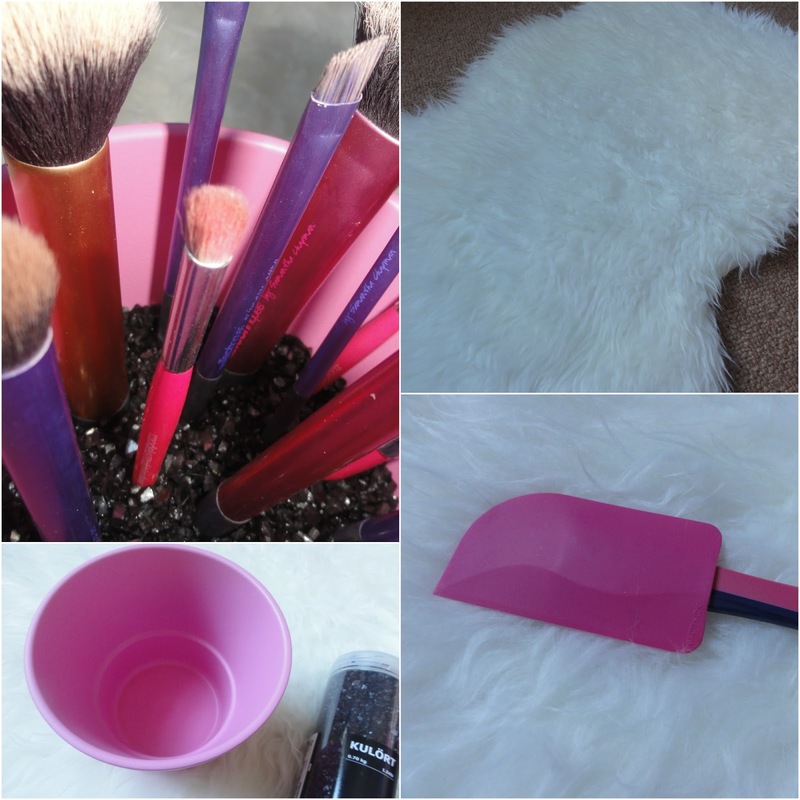 She'd left her makeup brush holders back at home and bought a plant pot along with some stones and used that instead. I loved the idea so much, I kinda copied. I have absolutely no idea what the last item is called. Don't worry I know how to use it! 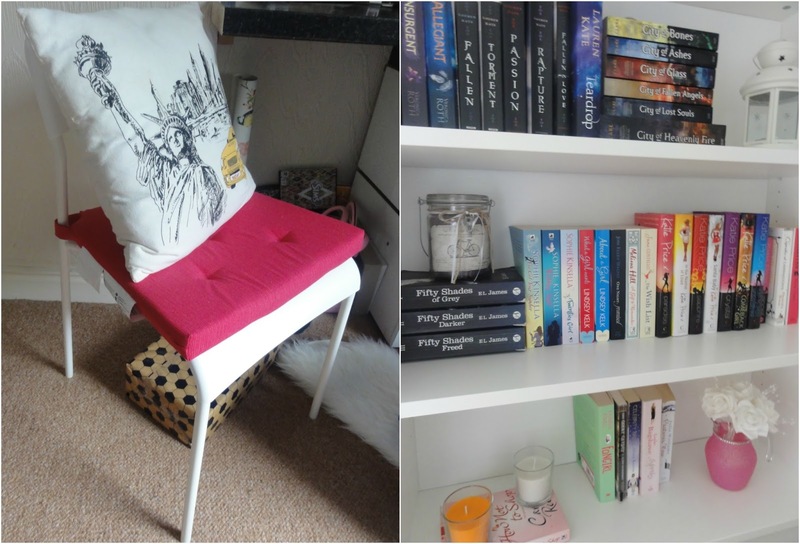 Billy Bookcase - £25.00 - I have a bookcase post coming soon. I love a good bargain! Those bath bombs look amazing! I'm a little obsessed with them! This is such a great haul. Love the clothes! That is one brilliant big haul for sure! Love the hood of your new coat too. It's little things like that, that make things different and stand out :) I don't like being like everyone else. I can justify the huge haul due to the price of everything. Everything was so cheap! I loooveee the bath bombs from lush to!